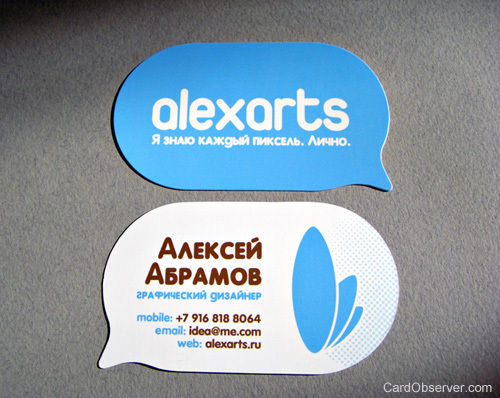 Business cards were designed for personal freelance business Alexarts.ru. The idea was to connect two visual styles: website identity + business cards. Cards designed as a speech bubbles. Custom cut, logo with spot gloss, 16pt heavy cardstock.